You can easily write an amazing ad that sells more, right now! Check out how I like to do it and integrate the techniques into your advertising tactics. An average family is exposed to more than 1500 advertisements a day. We all hate them, but they are an important part of today’s economy. This article is a short overview of what I find most important about writing a good ad, whether it is for a digital or physical product you have for sale. First of all, what is advertising? It’s a paid strategic effort to spread awareness of a product or service, but it’s not the only method used by marketers to sell a product. Advertising is the specific actions a business owner takes to draw attention towards a product or service. Collectively, we called those actions “advertisements” and they can range from printing a flyer to post around your neighbourhood to running an international TV or Facebook video ad and everything in between. Social proof is the positive influence that’s generated when people find out that ‘everybody’s doing it’. It is a convincing endorsement of your business, products, or offerings. Using social proof can make a significant impact on the growth of your business. Building social proof into your offer in the form of testimonials, reviews, or trust seals is a great way to generate interest (traffic), increase credibility and drive more conversions. Traffic is one of the main goals of this action. Writing a convincing advertising copy will drive more attention and traffic to your business. Interesting copies and headlines spark the curiosity of the readers. With a click driven by their curiosity, they feel like they’ve discovered the product or service. They don’t feel like they are tricked or forced into buying with aggressive advertising efforts. As a result, their willingness to buy will increase. Social proof and more traffic will lead to a higher conversion rate. Closing a deal is the ultimate goal. An ad which is well written, clearly stating the value and the benefits of the product, will naturally result in high conversion rates. This article will help you understand what are the elements of a great advertising copy and how to use these techniques to achieve the aforementioned outcomes. So don’t rely on clickbait headlines, invest in actual quality. The word of mouth will do wonders. Before you start writing your ad copy, get to know your audience. What do they like, what do they need, what are the platforms they are most likely to engage, who are the influencers they follow, etc. The homework part can be grouped into 4 Ps: Product, Price, Place, Promotion. 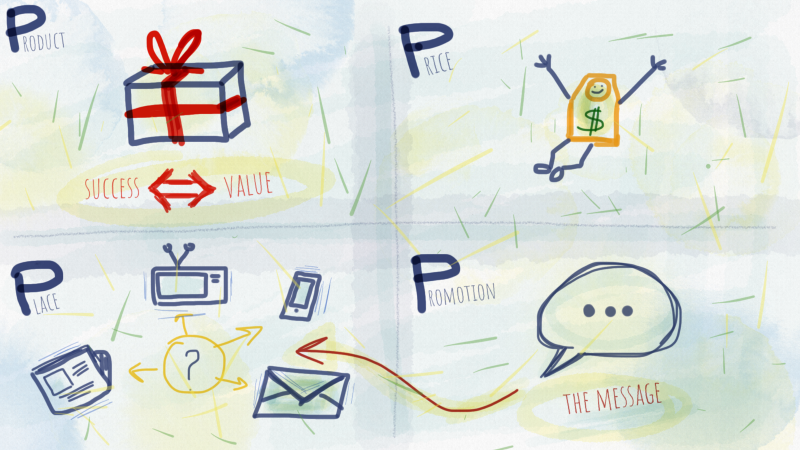 4 Ps in ad preparation: Product, Price, Place, Promotion. Product: You’ve put your heart and soul into the product or service, you know every bit of it. But take a step back and look at the bigger picture. What are the most important benefits of using it? 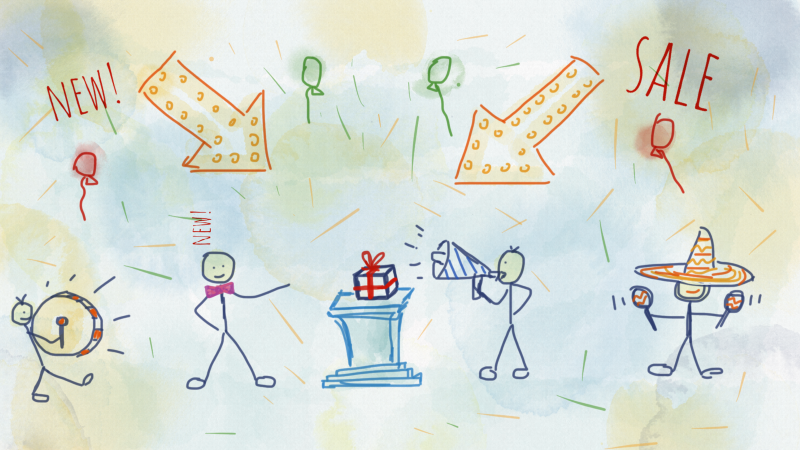 What is the thing that you want every customer to know about the product? Identify the true value of the product and focus on that. Success is proportional to the value you provide in return, so that should definitely be your focus. Promote your true value. This is one of the most important parts of your advertisement since the customers care about what they get in return for their money. And if the value is high, the price will follow. Price: By now, you’ve probably figured out the price of your product. It should pay for your expenses and leave you with a margin or profit. You might wonder why the price is important for your advertising efforts? Well, based on your price range, your ad has to have an appropriate tone, look and feel. Like if you’re applying for a CEO position, you will most likely wear a suit as opposed to applying for a barista position where your hipster beard reveals your credentials. 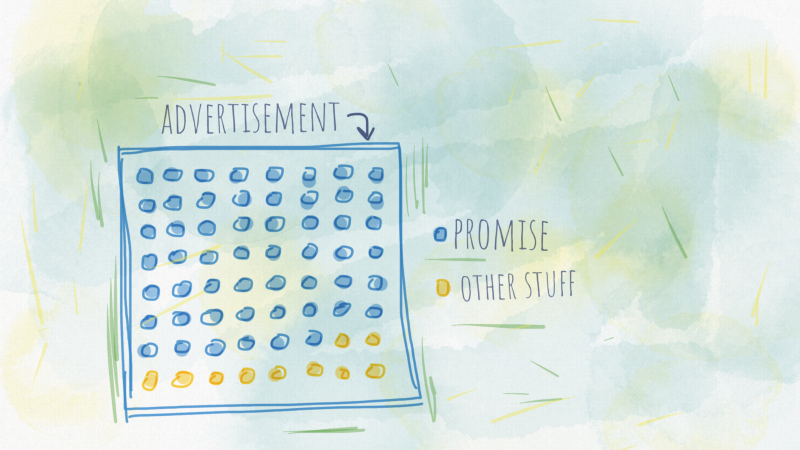 Similar applies to ads — the more expensive product the more premium it has to feel. Yet, if the product is affordable, premium-looking ads can turn down some of the customers because they will assume the price is too high. Everybody sells – How to set the right price? Promotion: The final P in the homework section is the promotion part. Depending on your business and audience, you can choose between printed ads, online ads, blog post promotion, guest post promotion, email campaigns, TV commercials, billboard ads, newspaper clips, the list goes on and on. Each of these mediums requires a copy which will deliver the message to the readers which bring us back to the topic — how to write an amazing advertising copy? In order to gain attention, you should use your sublime eloquence to emphasize and embrace the magnificence of promises. This is the reason you had to do your homework, the part with the first P — the product. Again, the success is proportional to the value you provide in return, so that should definitely be your focus when writing a copy. Promise that value in your advertisement and you’ll grab the reader’s attention. Remember, what you say is more important than how you say it. At Sixty Miles an Hour the Loudest Noise in the New Rolls-Royce comes from the electric clock. Twelve-word masterpiece. No fancy adjectives, just a fact saying it all. It enables you to imagine the build quality, the luxury level of the car by just reading this fact. In most cases, the headline makes the reader decide whether to read the copy or not. On the average, five times as many people read the headline alone as read the body copy. So if you don’t do any selling in your headline, you’ve wasted 80% of your advertising reach. The idea here is to display problems that your prospective buyers have. This will definitely catch their eye. This is a strong selling technique because it promises a hope. A hope that the problems your customers face could disappear. Your headline should appeal to customer’s self-interest. If you nail the problem definition and promise a good quality solution in your headline, your ad just might hit the jackpot. Always try to figure out a way to inject news into your headlines, because most customers are in a pursuit for new products. The product doesn’t even have to be new. You could emphasise a new way of using old products or shed some light on innovative approach on using existing solutions. You could even use the word NEW in some sense. As long as you have an incremental improvement, it can be called new. These words could be associated with sense of urgency, scarcity, innovation. This is a way of telling your customers that if they ignore your product, they will be missing out. They will miss the opportunity for a better and easier life. They will willingly abandon hope and promises that you provide to them. Give them the control over their choices, but clearly state that they will be missing out if they choose not to buy. Don’t play games, use simple English in your headlines. A handful of people like to read deep philosophical statements with hidden messages. When it comes to advertisements, nobody likes to read them at all, especially if they are hard to understand. It is highly unlikely that one would spend some time thinking about the message you’ve hidden between the lines. Be straightforward, use simple English. The body copy is where you go into details. If you’ve done a good job defining your headline, this is the final step in closing the deal. The headline aroused the curiosity of your customer, so you’re expected to deliver in this section. Go straight to the point with the facts. The reader is already interested, so the focus here is on delivering enough facts and details about the product and the benefits it provides. Tell the truth, but make it fascinating. This is one advice to follow. You would want to deliver the facts to the reader, but you wouldn’t want to be a bore. So try hard to make those facts as exciting as possible. It is sometimes hard to figure out, but it’s worth the effort. A clever way of pointing out the value of your product is by including the testimonials in your copy. This is again a social proof, a convincing endorsement which makes it easier for the customers to believe in that value. They would rather believe their fellow consumer than an anonymous copywriter. People love stories, so a great story about how your product improved somebody’s life is a powerful message in the eyes of the prospective customer. Again, it is a hope and a promise that they could benefit as well. Finally, you should give the reader helpful advice. Something that readers could use immediately, the same as you can use testers in the perfume shop. If your advice proves to be right, if it delivers the promise, you will immediately build the trust. Building the trust is a huge deal, because that way, customers will be comfortable with buying more advices from you, more products from you, since they’ve been convinced that your methods work. And the hope that you’re promising now seems trustworthy. This is something I use often, as a checklist when I write an article, an ad or an email subject and it helped me a lot. A small change in your headline can make a huge difference. Try it out and let me know how it worked for you. I’m sure that you will make your ad copies even better!